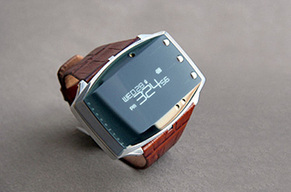 Nixon always makes exotic timepieces that are also friendly to your pocket. 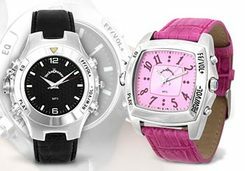 But this Nixon Diamond Rotolog might not be too friendly. 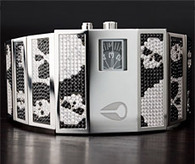 It features 764 full cut white diamonds and 1.087 full cut black diamonds. Total carats 9.25. Also it features the skull head design which seems to be tattooed everywhere, from t-shirts, to toasters, to ....everything almost. Available exclusively at Barney's NYC and Bevery Hills locations. x-axis & y-axis Watch ? 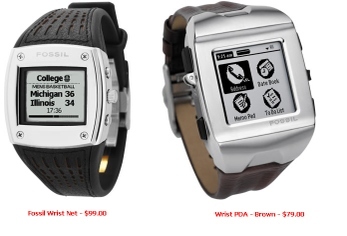 Meet Fossil's wrist net and wrist PDA. 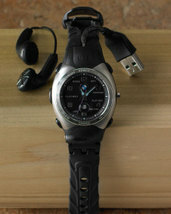 The wrist PDA watch is a personal organizer which is on a Palm Os plat-foam. It stores hundreds of contacts, it has a calender, 8MB of memory for the to do list, has a memo pad, and an alarm reminder for your appointments. 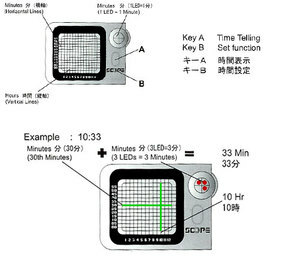 On the other hand the fossil wrist net watch can receive MSN Direct content ( national news and Hi/Low temp. for your local area free, and with a smart plan of $39.95 you can get more MSN Direct channels including sports updates and New movie releases. >>> More at fossil site. This time pieces don't seem to compromise their style so that they can hold 120 songs in their 256MB memory. With their simple, stylish look. They offer direct MP3 download, they are shock, skip, and up to 30 meters water proof, compatible with both Mac & PC, can be used as USB mass storage devices, and their battery life is up to 9 hours of play time. >>>More info. Japanese watch Co. Seiko has unveiled the Spectrum SVRD001, only 500 limited edition units are available. 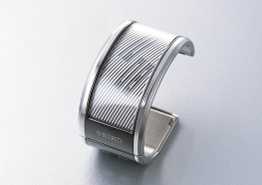 According to Seiko, this is the first watch in the world that uses flexible e-paper (Electrophoretic Display). It's unique, resembles a bracelet, weighs 134g and it's 37mm thick. Available in January 2006 price $3200.